Friday, Feb 8, 2019, 12 – 1 p.m. Empathy has always been an important driver of innovation. There’s no better way to gauge the likely success of a new product, for example, than putting yourself in your customers’ shoes, to understand how they feel and what they need. While resulting innovations are valuable, they are often limited by profit motives and aversion to risk. This is a recipe for incremental improvements that don’t typically address bigger human needs — like ending poverty or reversing global warming. Solving those kinds of problems requires compassion, which is the next step beyond empathy. Once we understand someone else, compassion is what makes us want to help them. To move beyond existing innovation and business models to address more universal challenges will require us to weave compassion deeper into our processes, to build a more inclusive approach that emphasizes outcomes that improve lives, not just balance sheets. 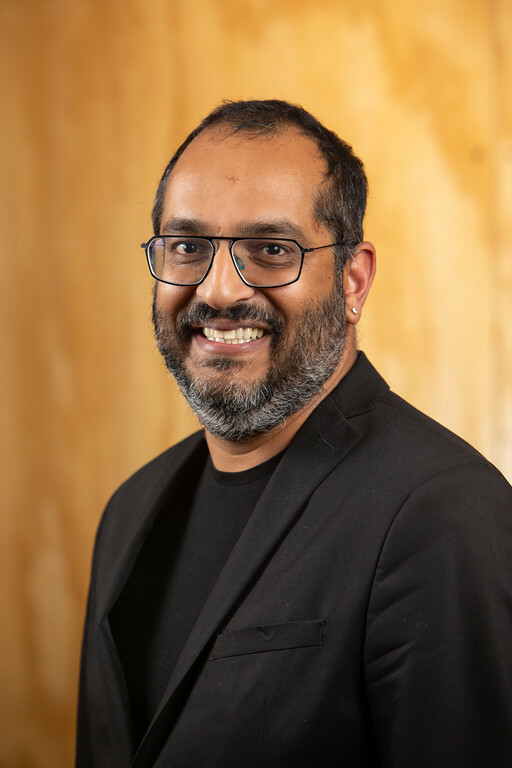 Vikram Jandhyala is Vice President for Innovation Strategy at the University of Washington, Executive Director of CoMotion, and co-Executive Director of the Global Innovation Exchange (GIX). He is a Professor and former Chair in the Department of Electrical and Computer Engineering, an Adjunct Professor in the Information School and serves on the boards of The Technology Alliance, Washington State China Relations Council, UW Foster Business School's Buerk Center for Entrepreneurship and Canada's Digital Technology Supercluster. He founded, along with his students, Nimbic (acquired by Mentor Graphics) and was an early employee at Ansoft (acquired by Ansys). Read more about Vikram Jandhyala on LinkedIn. Fundamentals for Startups is a weekly one-hour lecture series featuring notable experts who share startup-related information, experience, and insights with our entrepreneurial community. From raising capital to scaling to exit strategies, these seasoned guest speakers deliver valuable content designed to help startups and entrepreneurs thrive. Lectures are typically 30-40 mins, followed by open Q&A. Light refreshments will be served. These lectures are open to the public and you do not have to be currently affiliated with the UW or a startup to join. We hope to see you there! Each lecture is filmed, live streamed, and archived on CoMotion’s YouTube Channel. Can't join us? Watch this talk live, day of at the link below. Also, checkout our Fundamentals for Startups playlist.